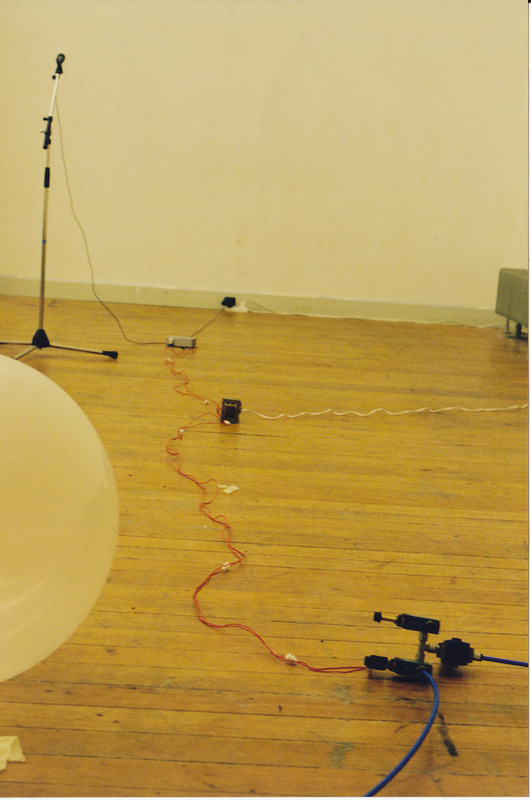 A microphone is connected through a long chain of other required equipment to a huge balloon (huge when inflated!). 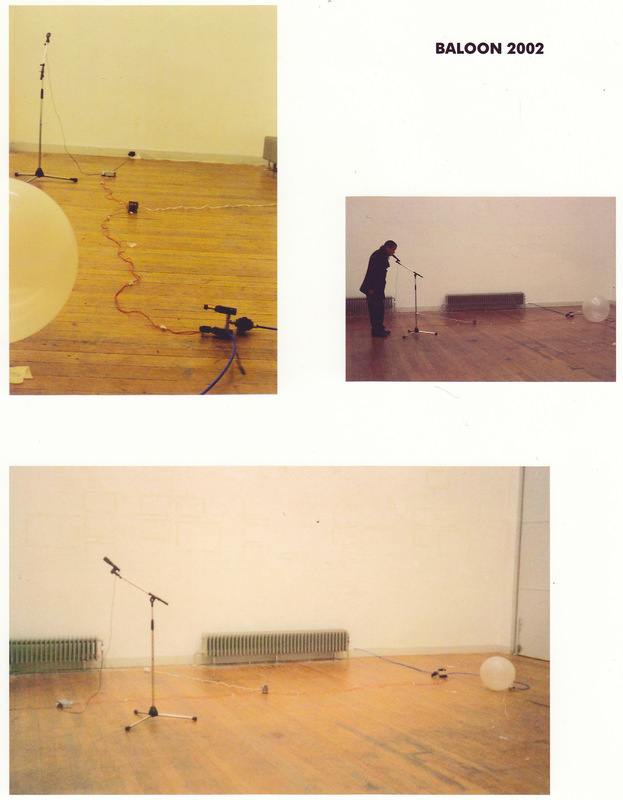 Each spoken work through the mic inflates the balloon making it slowly grow in volume. The spectator is invited to discover the mechanism. Being presented in a formal hall the mechanism converts the formality to informal. Everybody was curious of the final big bang which really happened. The balloon’s offering to its art-condition was through the discovery of the total installation’s performing elements which converted the spectators to a functional part of the mechanism.